Is there a financial survival startegy for small private colleges? DUDLEY, Mass. — It was in his part-time job as a campus tour guide that Jared Maymon first heard prospective students and their parents asking not just about the food, the dorms or the required courses but about whether his college would be around long enough for them to experience any of those things. Several other New England institutions had abruptly closed because of falling enrollments, growing debt and other problems. 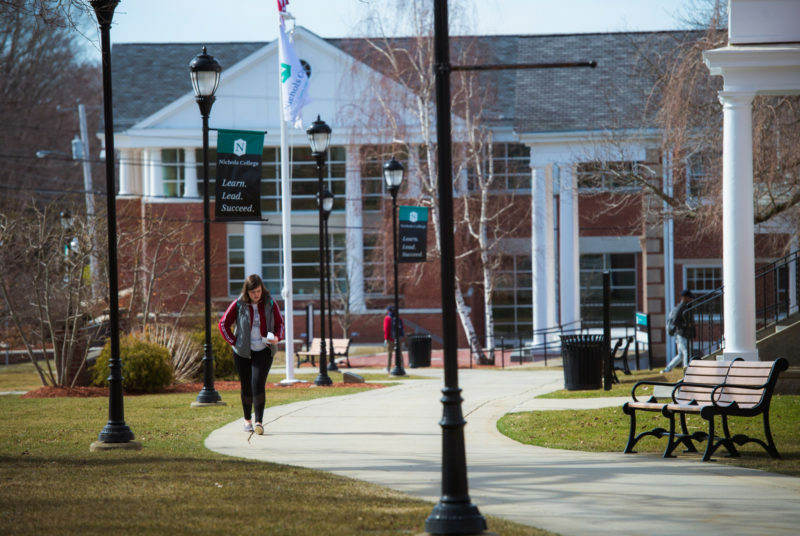 And Nichols College, where Maymon is a junior double-majoring in economics and finance, fit the same profile: small and with a comparatively low endowment and a student body drawn mostly from a few surrounding states. He’s increasingly confident it won’t. In another of his roles here, as a vice president in student government, Maymon gets regular updates about the many solutions with which Nichols is experimenting as one of a few small private colleges publicly confronting a crisis that has shuttered one comparable institution after another. Colleges are closing or merging at an accelerating rate, from about eight per year between 2004 and 2014, to an estimated 20 per year moving forward, with small private colleges particularly vulnerable. It’s trying to increase enrollment, which has rebounded after a decline, according to publicly available and internal documents administrators made available. These also show that Nichols has reduced the number of dropouts, holding onto $5.4 million a year in tuition revenue it was previously losing. It’s saved more than $345,000 annually by streamlining some administrative tasks. It’s expanding graduate programs and providing custom education for area businesses, increasing income from those sources by 46 percent. It’s reviewing staff positions to find any that aren’t needed, which may be eliminated as soon as this summer. It’s nearly doubled that endowment. And it’s begun a cost analysis of its smallest academic departments, with as few as 11 candidates for degrees apiece but as many as three full-time professors. Surprisingly few such colleges are being so aggressive. When a fellow president told a higher education conference in January that her campus had already cut spending as much as it could — “to the bone . . . there’s nothing left to cut” — Engelkemeyer stood up and said she disagreed. 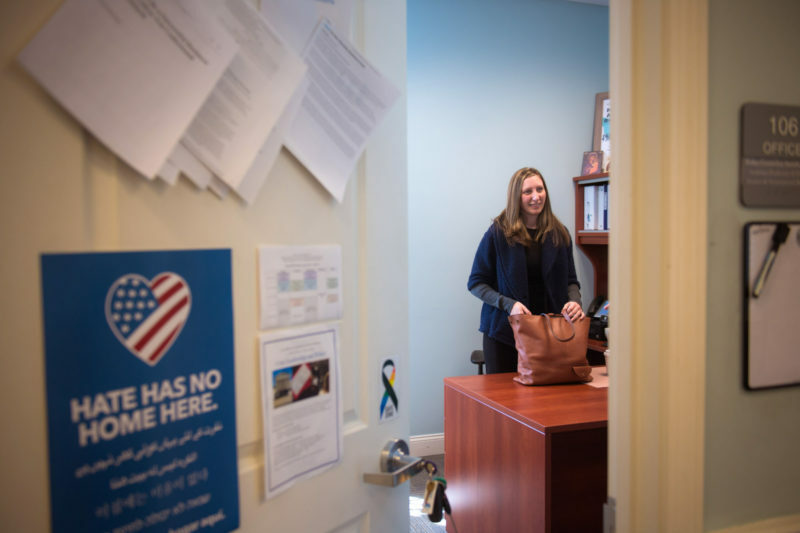 “I would suggest that there are very few schools that have done all that they can do,” she said in her office on the Nichols campus on a hill in rural Massachusetts near the border with Connecticut. Colleges are closing or merging at an accelerating rate, according to the Moody’s bond-rating agency, from about eight per year between 2004 and 2014 to an estimated 20 per year moving forward, with small private colleges particularly vulnerable. Mount Ida, for example, whose most recent tax filings show it had annual revenues of $60 million, ran up more than $68 million of debt but continued to recruit applicants and agreed to a new contract with faculty just weeks before it closed, leaving 1,500 students in limbo and 280 full- and part-time employees without jobs. Some 800 institutions face similar “critical strategic challenges” because they’re operated inefficiently or are very small, according to the consulting firm Parthenon-EY Education. Despite their seemingly fast-increasing tuitions, colleges are giving discounts so steep that they are spending more than they take in, Moody’s reports. Many are desperate to fill seats; higher education institutions of all kinds had nearly 2.1 million fewer students this academic year than they did at the last enrollment peak, in 2011, thanks to an improving economy that is sucking more people straight into the workforce, and a decline in the number of 18- to 22-year olds that is steepest in the Northeast and Midwest. This has most recently dragged down not only Mount Ida, but Wheelock College, in Boston, which merged with Boston University, and Newbury College, near Boston, which will close at the end of this semester. Hampshire College in Massachusetts won’t admit a full freshman class in the fall, and is looking for a merger partner; its president quit suddenly. Three Vermont institutions also announced this year that they will close: Green Mountain and Southern Vermont colleges and the College of St. Joseph. So will Hiwassee College in Tennessee. And Wheeling Jesuit University in West Virginia has laid off more than a third of its full-time faculty. Nichols and some other small private colleges are working to preempt that fate. Nearly 20 have reduced their tuitions over the last three years, according to the National Association of Independent Colleges and Universities. That’s after a decade in which college tuition and fees rose 63 percent, or three times the rate of everything else tracked by the U.S. Bureau of Labor Statistics’ Consumer Price Index. Almost seven in 10 parents said in a survey that they had eliminated colleges from consideration for their children because of the cost. Cutting the price is one way to compete for a dwindling supply of students. Other small four-year institutions are also negotiating deals with community colleges to smooth a path for transfers that many previously filled with obstacles. Small colleges are also looking for new sources of revenue. If they have graduate divisions, they’re expanding them. To reduce costs, a few are cutting money-losing programs. Dominican University in California has teamed up with a coding academy called the Make School to offer a minor in computer science; Make School students, in exchange, can get Dominican bachelor’s degrees in applied computer science. 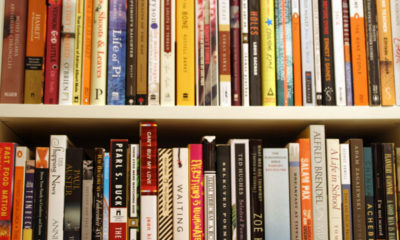 “Those colleges and universities that survive are likely to be not the ones with the biggest endowments but the ones that are the most creative and … the most entrepreneurial,” said Brian Mitchell, the former president of Bucknell University and the author of “How to Run a College,” who is now a consultant to many struggling institutions. The college, which focuses on business, has survived hardship before. Founded in 1815, it closed altogether between 1909 and 1931 before reopening as a junior college for men, became a four-year school in 1958, decided to go co-ed in 1970 and started to add graduate programs in 1974. It ran up operating losses and went into debt in the late 1990s, a time when its enrollment dropped by 26 percent. Applications fell again in 2017, but have since recovered, and the college exceeded its enrollment goals this year. Financial documents show it now has a positive cash flow, with revenues exceeding expenses by nearly $5 million, though Engelkemeyer said more work is needed for Nichols to stay healthy. Some of that transparency has prompted pushback. 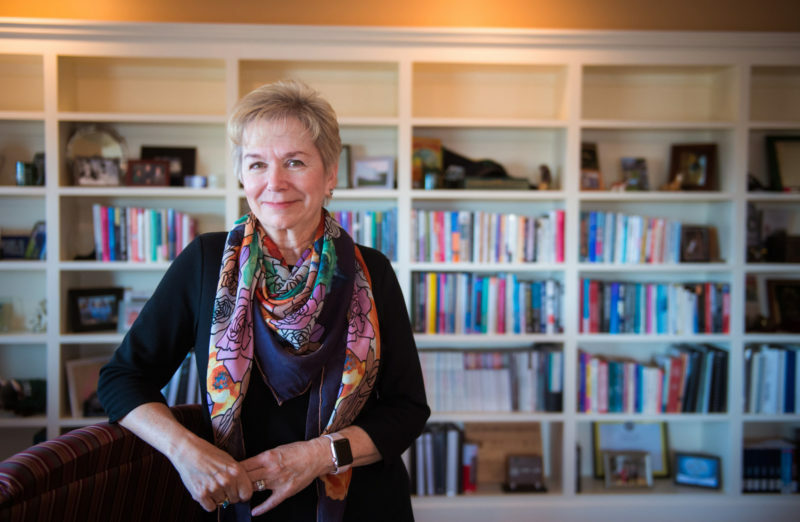 Engelkemeyer conceded that it still takes time to change an academic culture that has enjoyed an almost uninterrupted supply of students since she started teaching in 1990. Yet some faculty said they were under the impression that the college had completed its review of its smallest programs, which Engelkemeyer said will continue in the fall with an even closer look at the financial viability of small upper-level courses in some business concentrations and liberal arts majors. 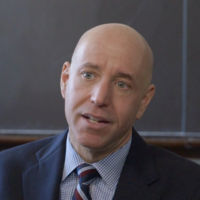 Mark Naigles, head of the faculty senate, contended that cutting might make things worse. The same approach has led faculty at Hampshire to propose adding more advising and a new curriculum focused on such topics as climate change and immigration — but lay off zero employees, even as enrollment declines from the current 1,100 to a projected 600 next year. Picking away at the problems in what he called incremental ways, however, isn’t equal to the magnitude of the crisis, Mitchell said. “If in fact you’re practicing incrementalism, then you’re in real danger now and could be in grave danger shortly,” he said. The no-cuts proposal by faculty at Hampshire also relies heavily on more alumni donations. But there may not be enough donors to keep all of these colleges afloat, if current trends hold true. While the amount of alumni giving went up in 2017, the last year for which the figure is available, the proportion of alumni who contribute has been falling and there’s more competition for their philanthropy, according to the analytics firm Hanover Research. Nichols’ alumni have been generous, donating $46 million that has allowed the college to build a new academic center with 360-degree whiteboards and large-screen TVs, add a high-tech trading room, expand the athletic facility and renovate the dining hall and dorms on its notably well-kept, red-brick campus without taking on substantial debt — unlike other colleges and universities, which Moody’s reports collectively owe a quarter of a trillion dollars and continue to take on debt at an accelerating rate. That fundraising also helped Nichols increase its endowment from $7.4 million in 2013 to $15.4 million now, though the figure is still among the lowest of its competitor schools. And it launched two new master’s degrees, including one in counterterrorism. But adding also means expanding program offerings without necessarily further enlarging the payroll, as might have happened in the past. 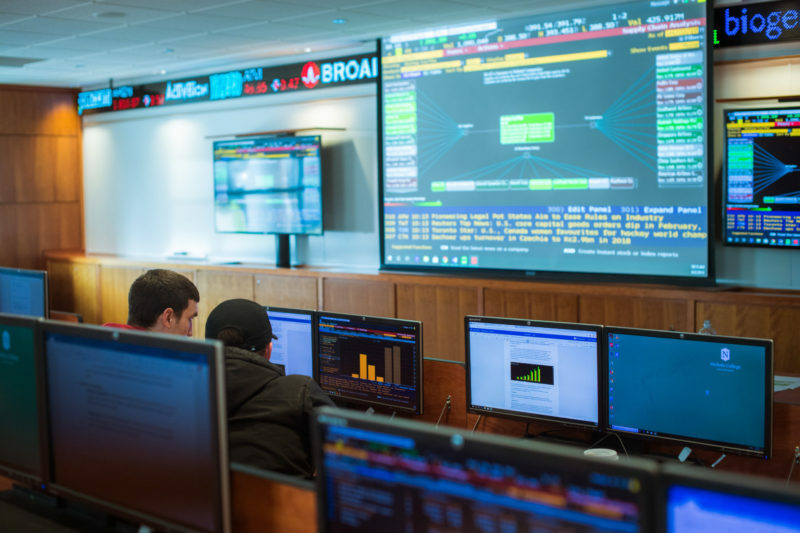 The college’s vice president of academic affairs has told faculty that Nichols may add concentrations in marketing analytics and digital media, for example, using existing expertise. Naigles is on board with that. “We have a great marketing team and we have a great math team that teaches certain business analytics so you can create a new program without having to spend extra money on new hires,” he said. Back in the student center, Maymon gets ready to leave for his next class. 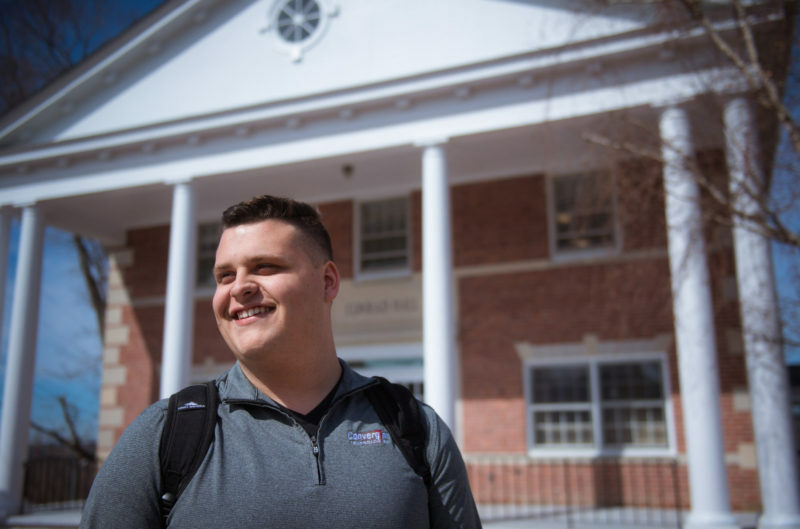 He’s “okay to sleep at night,” he said, “comfortable that I’m going to graduate” from Nichols. A previous version of this story incorrectly stated Dominican University’s name. It is Dominican University, not Dominican College. 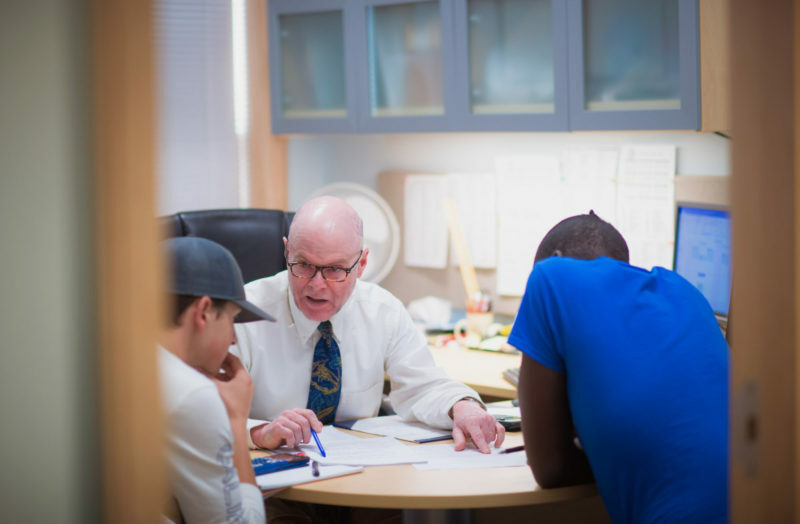 This story about small private colleges was produced by The Hechinger Report, a nonprofit, independent news organization focused on inequality and innovation in education. Sign up for our higher education newsletter.